Home > Announcements > Happy 1 Year Anniversary Flair Candy! Happy 1 Year Anniversary Flair Candy! Seems like it has not been a while yet since I started blogging.Â May 1, 2008 was a good date to start. See my first blog post here :PÂ I initially used blogger and this is where it all started for me.Â I donâ€™t know html, css and web stuff as of this date and so I found blogger quite a user-friendly blogsite. 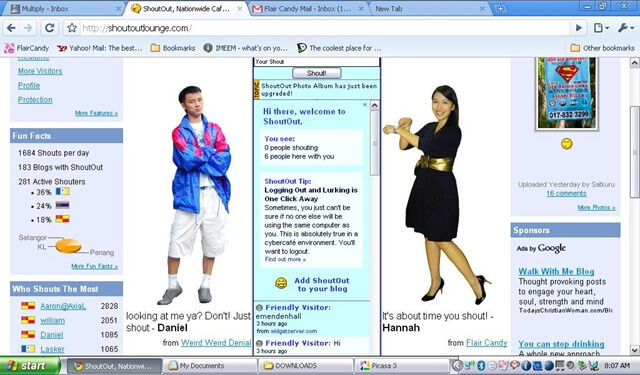 The Story of Yahoo Answersâ€™ role to the Birth of Flair Candy dot com. I was getting hooked to Yahoo answers coz every time some question pops into my mind, I search in google, and it gives me yahoo answers.Â Then I decided to register to it as well. how do get rid of cracking bones? Is GPS supported here in the Philippines? I have UTI, but what does my results mean? What is the cure for teeth grinding? Is there a Remedy for Alcohol Intolerance? I found out the only remedy is to stop drinking, coz intolerance is different from allergy. Intolerance means I had no enzyme to digest alcohol compounds to convert it into something less harmful to my body like vinegar. Can I still be a doctor? When I was pondering last year if I would go to med school or not. Yes, the yahoo answers community really answered lots of stuff for me which really helped me in some of my decision making processes.Â I was an active askerâ€¦ but I wondered, what if I were the one to answer questions as well? The following answers I had for the following questions were chosen as the BEST ANSWER. Best MP3 player excluding Ipods, Iphones? I believe that my boyfriend will eventually fall for another girl soon? What should I get for my birthday PSP or a Nintendo DS? Anyone got any ideas what I can do with my life? This question is special becuase this is the first question I have ever answered here and I was so psyched when the asker chose my answer as the best! At first I really do not want to reveal my real identity to the web because Iâ€™m afraid that if I do, I would not be able to write freely because I would get conscious of what I write.Â With this, I started to think of an â€œAliasâ€ and created my alter-ego. 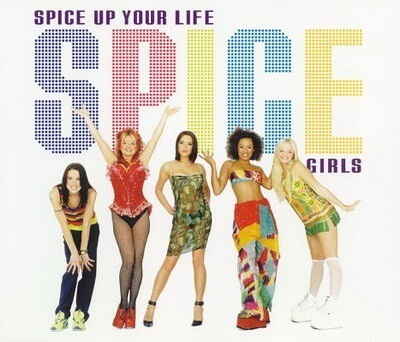 I adored the spice girls when I was still way younger lol and KungFuCandy is Baby Spiceâ€™s (Emma Bunton) alter-ego in the music video â€œSay Youâ€™ll be Thereâ€. I decided to register for blogger and use kungfucandy.blogspot.com url but it is already taken see here.Â I was quite pissed off because the site does not even have like a single content?!? RAWR!Â Anyway, it was a blessing in disguise because it forced me to think of another blogger url name.Â I came up with still being a Candy but attaching FLAIR to it!Â By now, Flair Candy is uniquely identified as me – web wise and in the real life!Â Unique, Stylish, Catchy url name!Â Iâ€™m so happy! See above I only got super little visitors to my blog and this was the month after i started blogging.Â I was quite happy with those results ^_^Â Knowing that other countries have viewed it, I was just quite enthused!Â Then again on the first month of my blogging, May 2008, I read what I write, and Iâ€™m the only one reading it lol. I changed headers and themes. And so I added this chatbox I found on widgetserver.com but this box is no ordinary box for me, Itâ€™s a Shout Out live chat box that gave initial traffic to my blog.Â Click here to view how it generated traffic to my blog before from nil to a 112 in a day :PÂ Well I think this isnâ€™t the only factor but having other blogger friends, especially outside Philippines, just gave me readers to my blog. Click here to add Shout Out to your blog! Click here to view my post about the Shouters. Credits to Jehz for this header ^_^Â This was also the time I bought my own domain name and transferred from blogger to wordpress!Â All thanks to Jehz for this! July 16, 2009 â€“ bought flaircandy.info at idotz.net for only $0.99 (PHP 44 at that time)Â I really got a super cheap domain name just to test what it was like to have a domain. August 27, 2008 â€“ Nuffnang on my blog! Thatâ€™s it for the not-so-fairy-tale story of the Flair Candy blog.Â This has been my outlet for almost many things.Â The geek in me just surfaces in this blog.Â I will continue to write about my travels, journeys, gadgets, photography, fashion and beauty, thoughts on love and life, Formula 1 and many more.Â Hoping to maintain a work-blog-life balance in my life heheâ€¦ After all Iâ€™m an Accountantâ€¦ right? You donâ€™t get my point?? ?Â Accountants are good in balance things out *wink* *wink*Â I have retired being a CPA-cheerleader hehe, Iâ€™m too old and heavy for thatÂ now :PÂ Right now Iâ€™ll just be your CPA-blogger, oh or just drop that CPA 😛 but shame I worked so hard on those three letters so they shall be attached to my name foreverâ€¦ 😛 CIAOZZZ!!! And Love, like you’ve never been hurt before. Your weblog post is extremely fantastic, I like your posts, Their really assist me.